The National Council on Alcoholism and Other Drug Dependencies/Putnam (NCADD) has partnered with the New York Council on Problem Gambling to carry-out the YOU(th) Decide Program in Putnam County. 2017 marks the sixth year that the NY Council on Problem Gambling has worked with local providers in an effort to prevent underage and problem gambling. 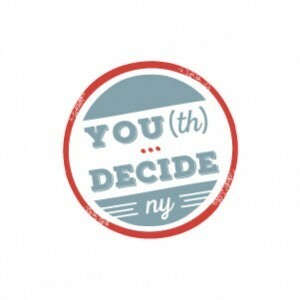 YOU(th) Decide Program is designed to be a multi-dimensional prevention effort aimed at reducing underage gambling. Local providers participating in the YOU(th) Decide Project will educate youth, work with local community leaders to decrease the availability of gambling at family and youth-focused events, and will conduct media and outreach campaigns. The most recent research indicates that among United States youth between the ages of 14 and 21, 68% have gambled in the past year, and 11% have gambled twice a week or more. Of those youth, 6.5% are at-risk for, or have already developed, a gambling problem (Welte, 2007). Underage gambling brings with it a number of negative consequences, many of which are serious, and can be devastating to the youth as well as his/her family and friends. The younger an adolescent begins gambling, the more likely he/she is to develop a gambling addiction. Underage gamblers are at an increased risk of delinquency and crime, damaged relationships and poor academic performance (Wynne et al., 1996). Youth who gamble are also more likely than their non-gambling peers to develop mental health issues including depression and alcohol/substance abuse disorders (Hardoon et al, 2002), to attempt suicide (Gupta and Derevensky, 1998), and to maintain poor general health (Potenza et al, 2002). There is not just oneperson, nor just one group of people, affected by underage gambling. There is not just one risk factor or protective factor that plays a role in underage gambling. There is not just one strategy that will, alone, prevent underage gambling. A variety of strategies targeted at all levels of impact is the only effective way to prevent and de-normalize underage gambling. If you, or your child, would like to learn more about YOU(th) Decide, or would like to get involved, please contact: Juliette Doyle, 845-225-4646.